Our Giant Buffalo Wool Vest couldn't be more aptly named our signature Original Buffalo Check plaid has been magnified to large-scale proportions. 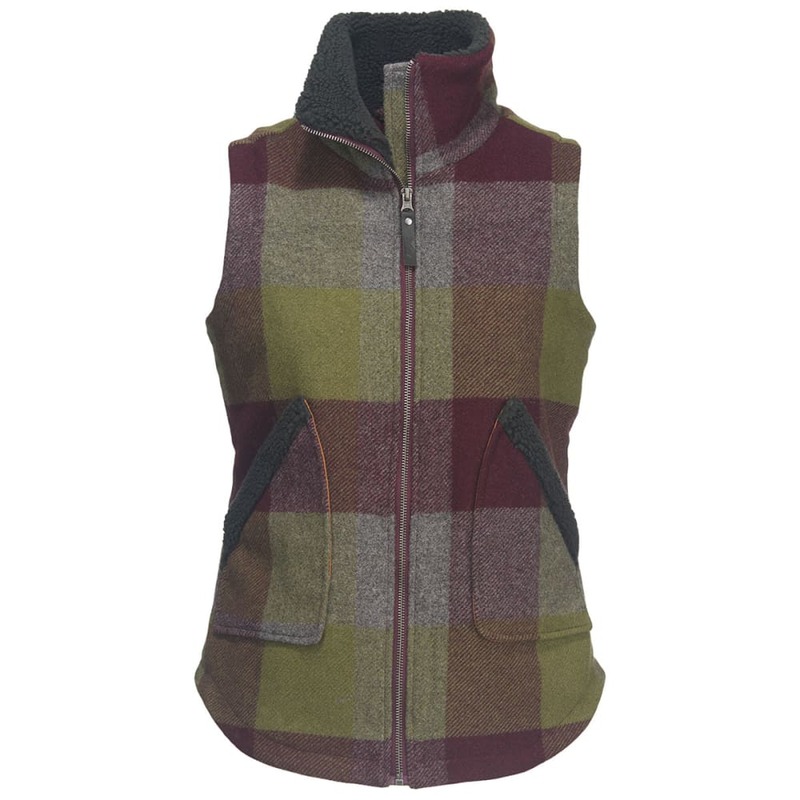 Wool/nylon blend outer shell; durable cotton twill lining. Exposed front zipper extends to the top of the cozy sherpa-lined 3 ½in. stand-up collar. Lower hand warmer pockets. Rounded shirttail hem.